Read on to find all you need to know about an exciting new technology that could slash the number of accidents on British roads. 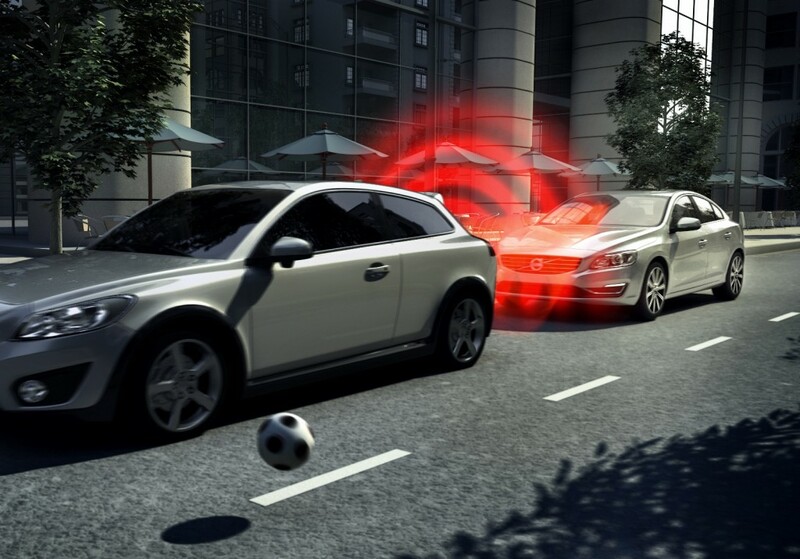 This is a system that can automatically apply a vehicles brakes if its various sensors detect an impending collision. On some cars it’s called City Safe because the system is designed principally to avoid the sort of knocks that happen in low-speed urban traffic. Depending on the car, it uses radar, lasers or cameras – or sometimes a combination of these – to detect objects in front of the car. This information is relayed to the car’s computer which applies the brakes if it detects that the driver is not reacting in time to the potential danger. Initially, there were some embarrassing failures for the makers of these systems. But it was pushing the boundaries of technology and fine tuning and better hardware and software means it is now likely to be more reliable than a human being. In the US, the Insurance Institute for Highway Safety (IIHS) conducted a study on the Volvo XC60, the first car to be fitted with AEB as standard. Analysis of claims data showed that compared to drivers of rival SUVs, XC60 owners made claims about a quarter less often. In addition, the cost of those claims was 27 per cent lower than other 4x4s. In addition to reducing the number and cost of claims, having a car with AEB can help reduce your insurance premiums. The UK insurance industry has taken note of the IIHS research and cars that are fitted with AEB as standard are put in lower insurance groups than equivalent models without it. Thatcham Research, which investigates vehicle safety plus costs of repairs and then sets insurance groups, has likened the safety benefits of AEB to the seatbelt. It believes manufacturers should offer it as standard. What cars is Autonomous Emergency Braking available on? Until quite recently it was the preserve of expensive models from premium brands. That, however, is changing. You can specify it on the latest Fiat Panda along with best-sellers such as the Ford Focus and Volkswagen Golf. When researching a new or used car, ask the salesperson whether the car you’re interested in has AEB fitted as standard. Is this the beginning of the self-driving car? The technology has been available for cars to drive themselves for some time now. Making a self-driving car is just a case of linking different elements that are already present on many of today’s high-end models. That AEB is now available on relatively humble city cars shows that the technology is becoming more affordable. And it proves that a self-driving car for the masses is well within our reach. However, the insurance implications of a car that isn’t controlled by a human being is another far more complex question altogether.